Retail inflation rose at a faster pace than anticipated in February. It picked up to 2.57 percent, after easing to 1.97 percent in January. This increase in retail prices is mainly due to higher costs of housing, health, education services and fuel. Wholesale inflation also showed a similar trend in the month, rising to 2.93 percent from 2.76 percent in January, due to rise in prices of fuel, electricity and some household items. Both readings are still within the RBI's comfort zone, however. Now, let's look at the January IIP data. Industrial output growth slipped to a two-month low of 1.7 percent in the month, compared to 2.6 percent in December, 2018. This fall was mainly due to slowdown in the manufacturing sector, which accounts for almost three-fourths of IIP, and grew at a mere 1.3 percent in January, down from 3 percent in the previous month. The capital goods segment contracted by 3.2 percent, after growing by 4.9 percent the month before. These figures are, no doubt, worth raising concern. 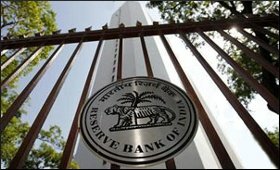 Considering the above scenario, it is widely expected that RBI will cut its key lending rate by another 25 basis points in its bi-monthly monetary policy review scheduled on Thursday. Since inflation rate has remained moderate while industrial production has slowed down, most economy watchers view that the situation clearly offers an opportunity to the central bank to cut rates to spur growth momentum in the economy. Additionally, an accommodative stance is expected also amid the fear of a global slowdown. Meanwhile, economists point out that high unemployment is one of the reasons behind India's low inflation. A recent report adds that unemployment is seen by the Indian public as the biggest challenge. According to it, 76 percent of adults view that unemployment has hardly changed over the past year. The findings show that in 2018, 18.6 million Indians were jobless and another 393.7 million worked in poor-quality jobs vulnerable to displacement. Needless to say, this massive challenge needs urgent attention.